Heroku uses Git to push and pull code from Heroku. 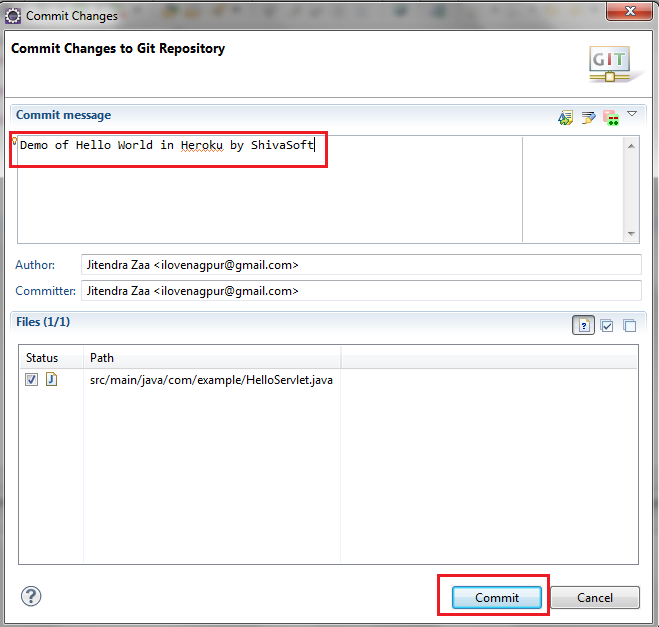 For this you can use E-Git plugin of Eclipse. You can also visit this article for complete tutorial. So, for communication between Heroku and Git we need SSH. Navigate to “Windows | Preferences |General | Network Connections | SSH2 “. 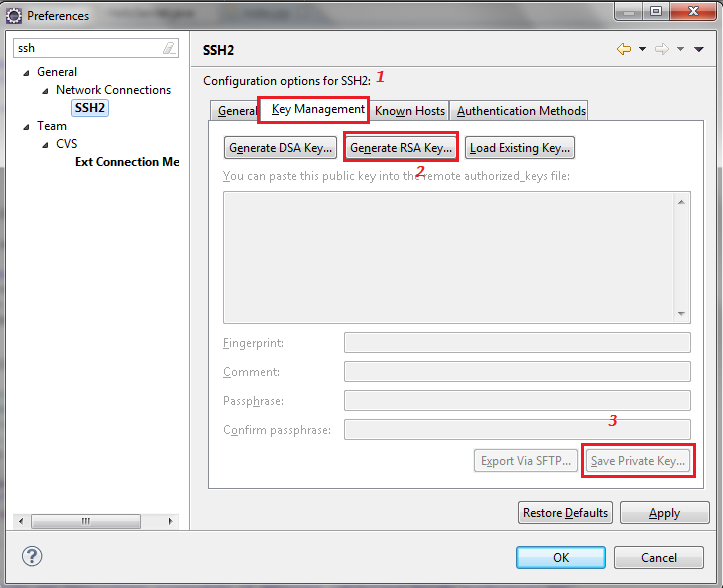 Navigate to “Key Management“ tab and click on “Generate RSA Key”. After Generation of key click on “Save Private Key”. 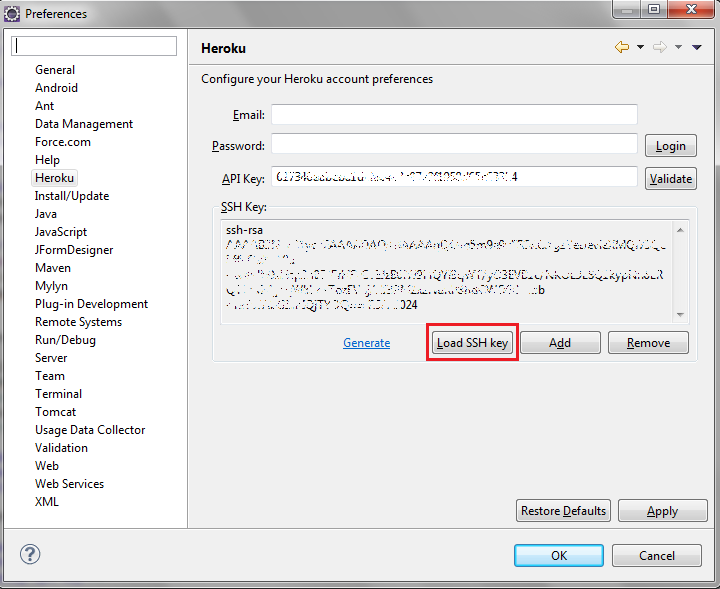 Now, after generation of RSA key Navigate to “Heroku” and click on “Load SSH Key” and select file which you have saved recently. Now, till this we have done all the configurations. Start with creating our first “Hello World” program from Template using Jetty. 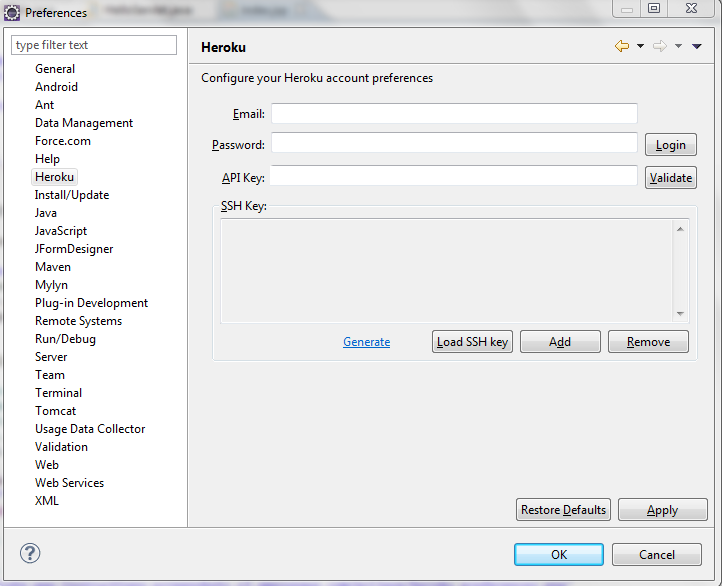 Navigate to “New | Project | Heroku | Create Heroku App from Template” and click on Next. 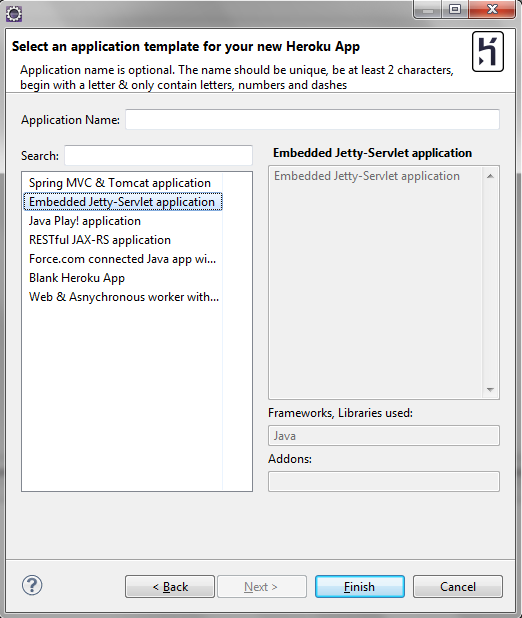 On Next screen select “Embedded Jetty-Servlet application” and click on Finish. After creation of sample project, open “Main.java” file and run it. Now open browser with URL http://localhost:8080/ and you should able to see Jetty Page. If you are able to see the Jetty Startup page, means everything is good. Now navigate to http://localhost:8080/hello , you will see text “Hello Heroku” just like below screen. You can make modifications in “HelloServlet.java” by replacing below line with some other Text. After Committing the Changes, Navigate to “Right Click on Project | Team | Push to Upstream”. 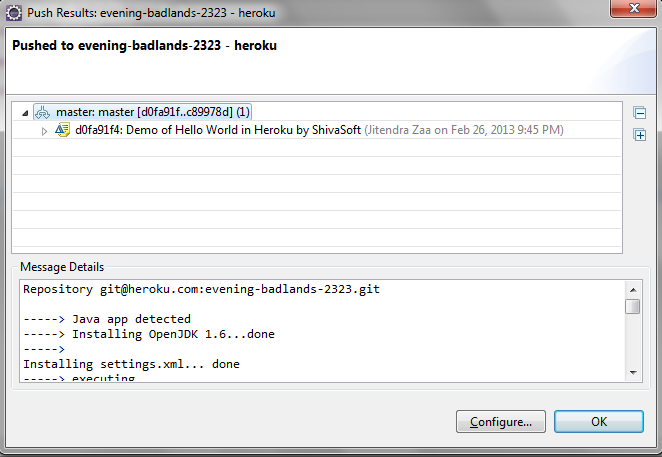 Now, if everything is good, Heroku will receive all you local Changes and build application again on its server. Now you can run this application by logging into Heroku and make modifications that’s suits you like Salesforce Integration or any other. You can also visit this official Heroku tutorial, which explains in very detail about Heroku Deployment using Eclipse and other important Configurations. If you are getting an error “eclipse SSH key is not matching the SSH key(s) that is associated with your Heroku account“, then follow this article to resolve this. 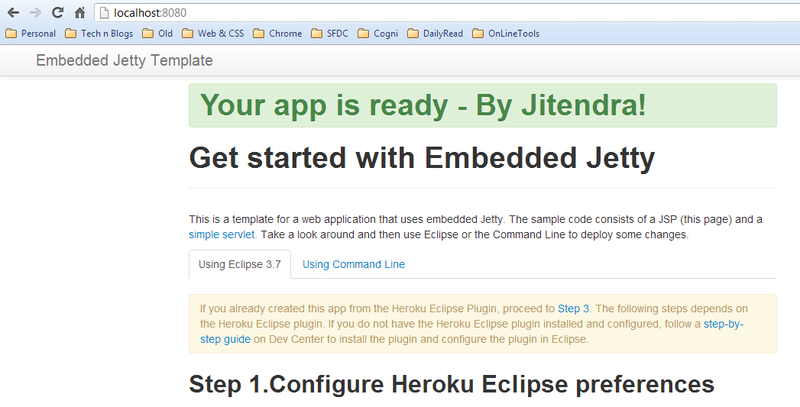 I tried to install the plugin on Eclipse 3.8.2 and 4.2.2, but in both cases, i cannot find heroku under Window >Preferences. I did not face any issues while installing the plugin either. I am really stumped as i cannot progress and set up the API key to continue with my project. 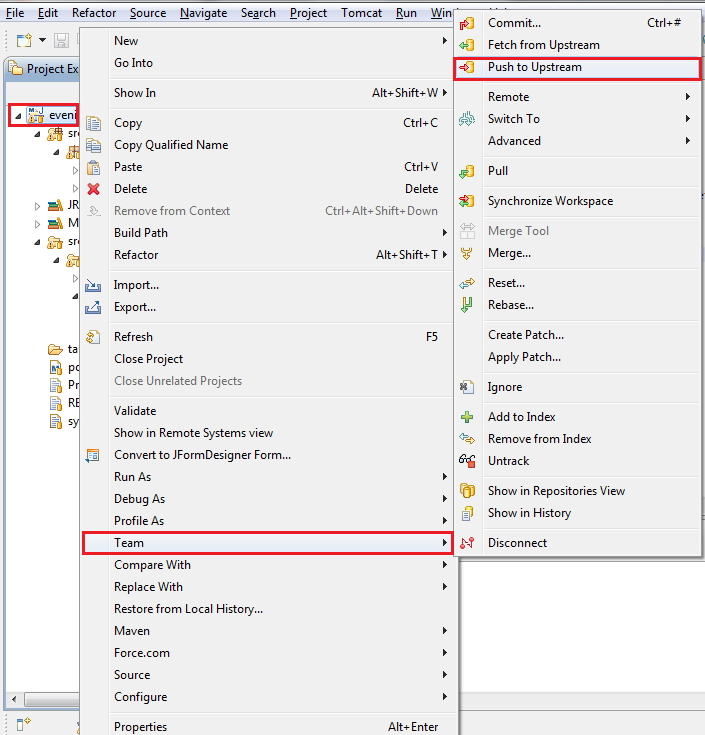 After this step,On Next screen select â€œEmbedded Jetty-Servlet applicationâ€ and click on Finish. Im getting SSH Key is not correct.I followed same as you had given..and I got the mail too with the SSH key. wonderring why for me,getting SSH key is not matching,checkin in preference.. I have installed all the plugins but when i am creating project with Heroku , it shows heroku error. Any idea or help would be highly appreciated. I feel your stuff is cool to follow.